Fire Retardant Fiberglass Clutch Window Shades | Brite Inc. Quantity Discounts are always available. Call for Pricing. 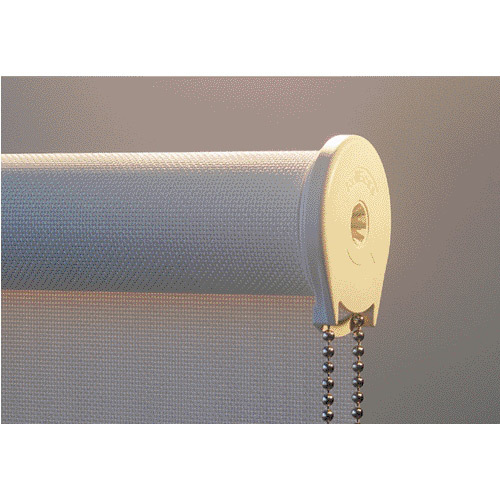 Our room darkening clutch operated window shades are perfect for school or institution use. These shades are made using 12 oz. 4-ply durable fiberglass room darkening material, and are designed not to crack, peel or chip! They come standard with 1-1/2" R16 Rollease clutch and 1-1/4" wood bottom slat. Universal installation brackets are included with each shade. All shades are custom made to fit your specifications.